It might’ve meant higher fares for customers, and driver strikes across the country, but Ola is finally making money on each ride it provides. “Last week, our India business crossed a major milestone. 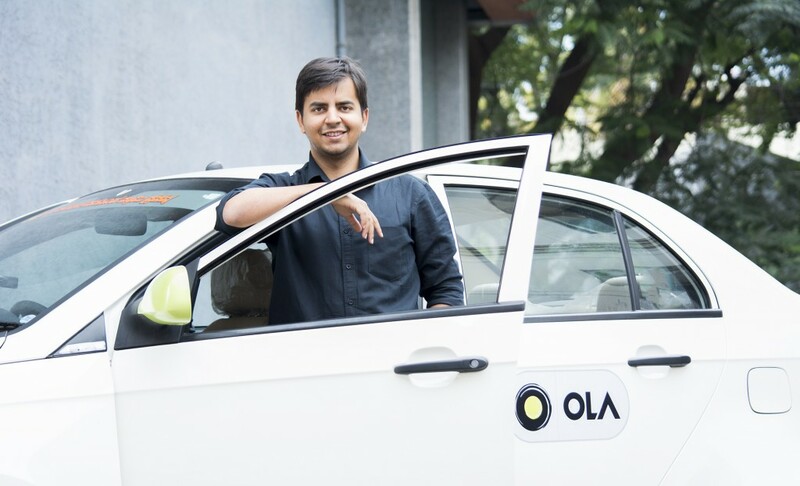 We are now ENTR positive,” Ola CEO Bhavish Aggarwal wrote in an email to his team late last month, ET reports. ENTR stands for Effective Net Take Rate, and represents the commission that Ola makes on each ride, after adjusting for costs like discounts per ride. With a positive Effective Net Take Rate, Ola is now making money on individual rides, as opposed to losing money with each ride as it was doing previously. Ola, of course, is nowhere close to being profitable. The ENTR doesn’t take into account fixed costs, like employee salaries, and costs like infrastructure costs and technology costs. If those figures are taken into account, Ola’s financials don’t look quite as impressive — in 2017, Ola lost Rs. 3.16 per rupee it earned in 2017, resulting in overall losses of Rs. 3,731 crore on revenues of just Rs. 1,178 crore. But a positive ENTR would be the first step towards eventually being profitable, and Ola seems to have aggressive targets in this regard. In 2017, CEO Bhavish Aggarwal had announced that the company intended to be profitable over the following two years. With 2019 looming, Ola will need to step up its game to turn its positive ENTR into overall profitability. It has not been easy to come this far. To achieve a positive ENTR, Ola had to cut driver commissions and incentives. Angered with their lowered payouts, cab drivers had launched several strikes in the country over the last year. More tragically, an Ola driver had set himself on fire in protest, and an Uber driver had committed suicide after being unable to pay off his car loans. Drivers, for now, seem to be still persisting with Ola, but it seems to be an uneasy sort of calm, and driving an Ola is not seen to be the viable option it was before. On the other side of the equation, Ola has also raised fares for customers. The rise has been gradual, but anecdotal evidence suggests that Ola rides are now almost twice as expensive as auto rides, and Ola Share rides are comparable to a solo ride in an auto. With their low prices over the last few years, Ola has got India’s urban population hooked to its services, but if prices were to rise further, some people might consider switching to other modes of transport. Ola, thus, might not have a lot of wiggle room to further increase prices, or cut driver payouts. But it’ll have to find some ways to make money. To its credit, it’s trying out some creative means to make some cash — Ola Play, its in-cab entertainment system, now grabs millions of eyeballs, and it could start running ads on its service to open up a new channel of revenue. There’s also Foodpanda, which Ola acquired this year, but food delivery is a competitive space, and it’s unlikely Foodpanda will contribute to its profits anytime soon. Ola, ultimately, might have to look within its own service to find profits. And while a positive ENTR might be a step in the right direction, overall profitability might be a long road ahead.